News is filtering in of Shaun Wright’s latest wheeze, find the most unsuitable person to be Deputy PCC, then give them the job! APPOINTMENT of a deputy to South Yorkshire’s Police and Crime Commissioner Shaun Wright has been criticised by opposition councillors in Sheffield. Tracey Cheetham, a Barnsley councillor and constituency manager for Barnsley Central MP Dan Jarvis, has been appointed to the role, which is paid a salary. 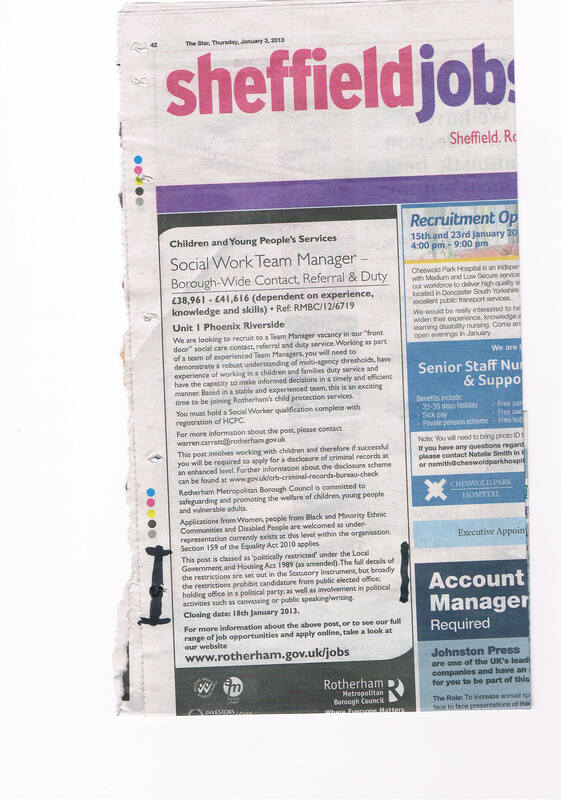 Coun Shaffaq Mohammed, Liberal Democrat leader on Sheffield Council, said: “At a time when local Labour politicians are cutting front line services, I’m sure residents across South Yorkshire will be surprised that they can still find the money for things like this.